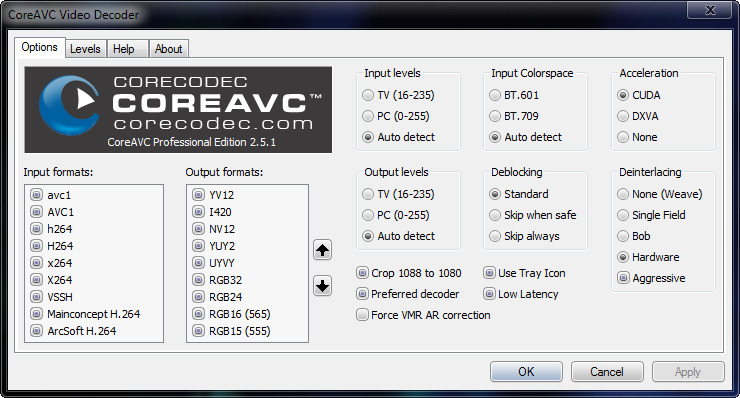 CoreAVC is known in the industry as being the standard for playback of high quality H.264 video. The new CoreAVC Decoder allows you to offload video decoding to any accelerated decoder that works with either NVIDIA CUDA or ATI with Microsoft's DirectX Video Acceleration (DXVA) interface for any Windows XP, Vista, or Windows 7 PC. quakemachineX (© 1999 - 2019 ) is proudly powered by WordPress Entries (RSS) and Comments (RSS). Designed by Bob. 69 q. in 0.108 s.